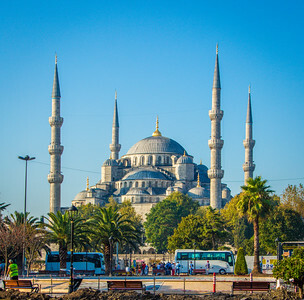 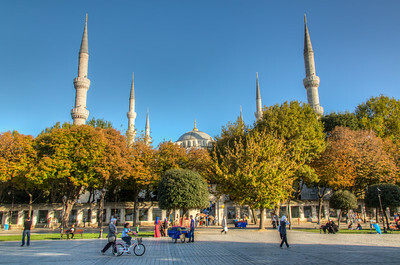 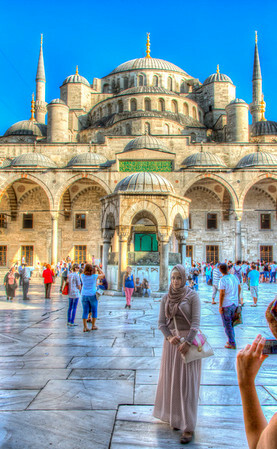 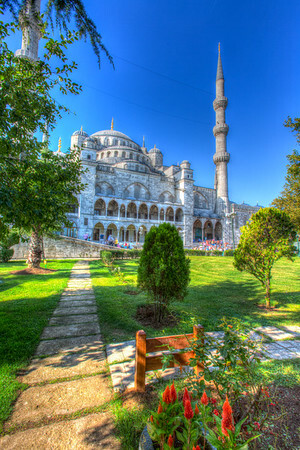 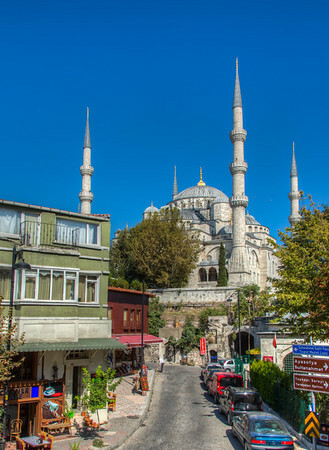 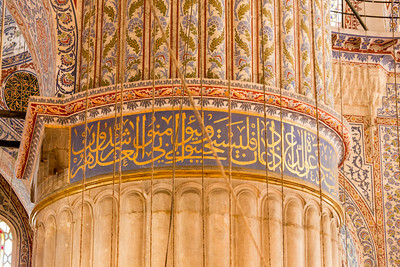 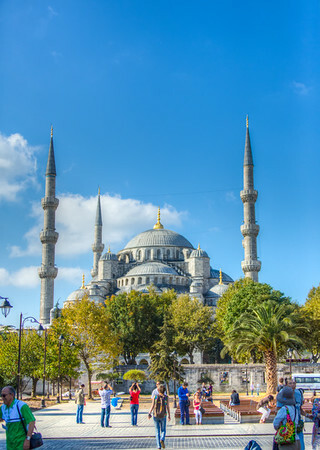 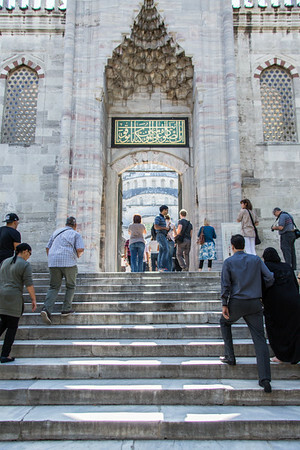 The enormous Sultan Ahmed Mosque, also known as the Blue Mosque for the blue tiles adorning the walls of the interior, is just a short distance from the Hagia Sophia. 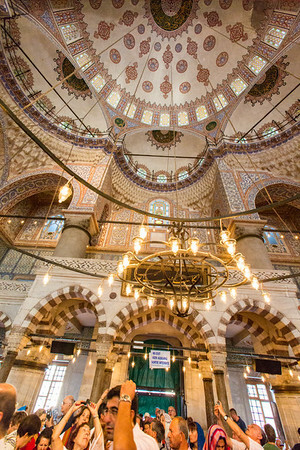 It was built between 1609 and 1616 and is considered to be the last great mosque of the classical period. 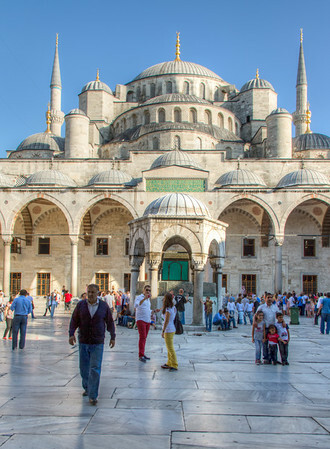 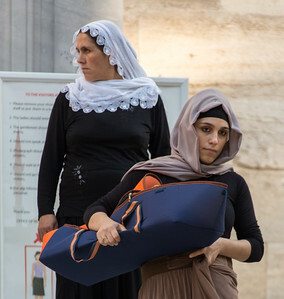 This imposing structure combines typical Byzantine church elements with traditional Islamic architecture. 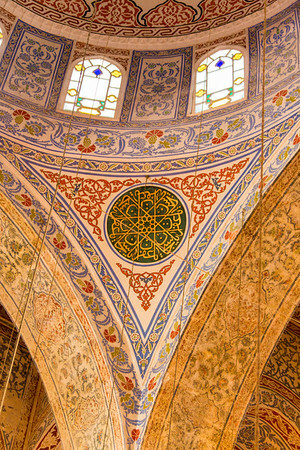 The interior walls are adorned with more than 20,000 handmade ceramic tiles including more than fifty different tulip designs. 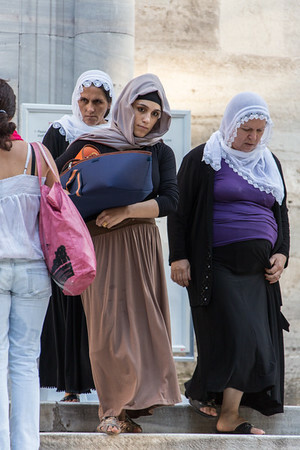 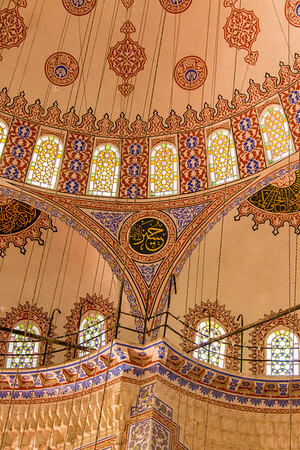 The tulip is symbolic of Islam in Turkey because it's name in Turkish, lalah, can be rearranged to spell Allah. 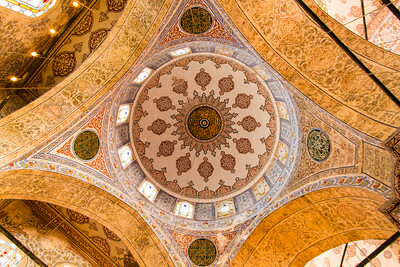 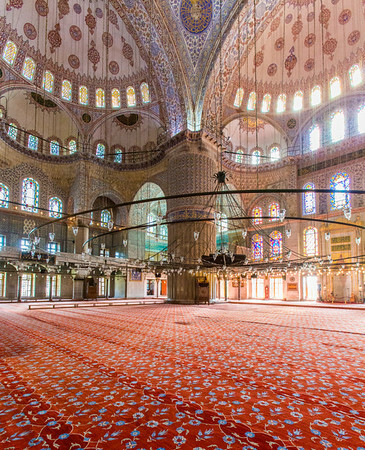 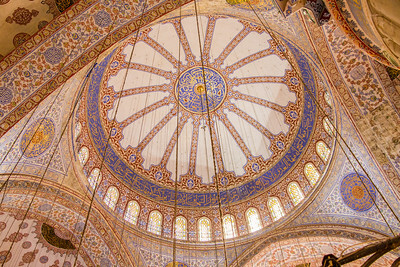 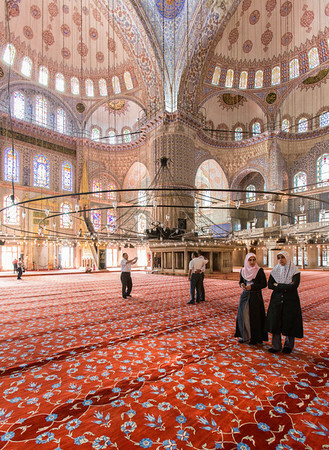 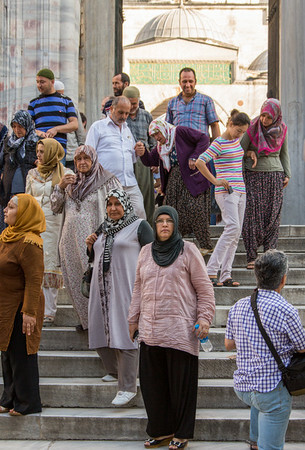 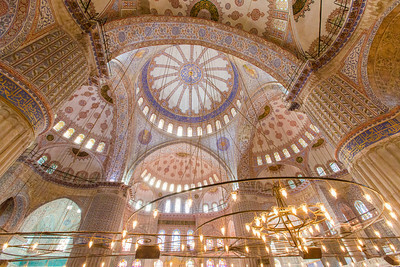 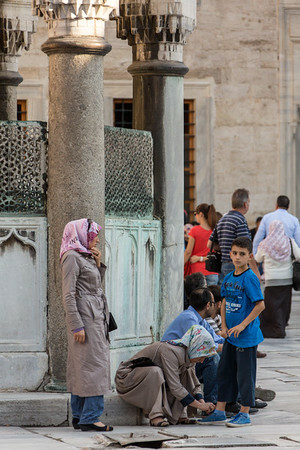 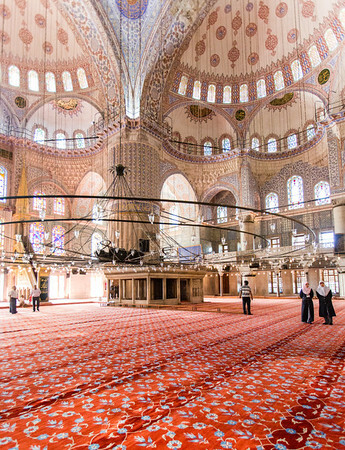 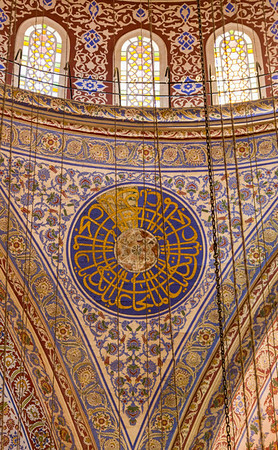 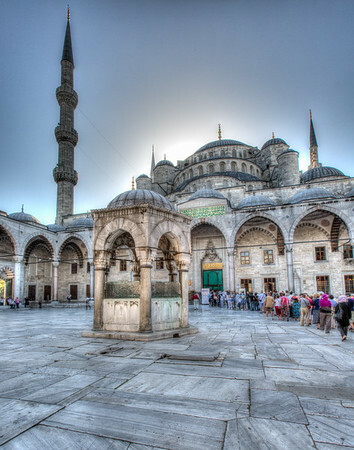 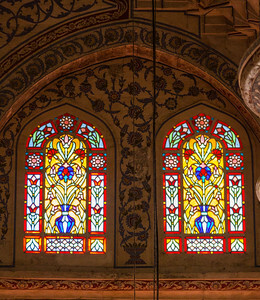 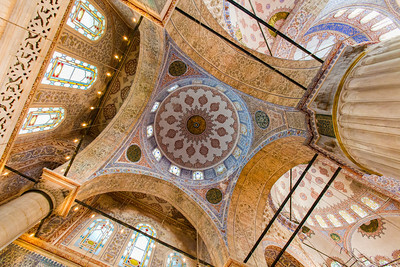 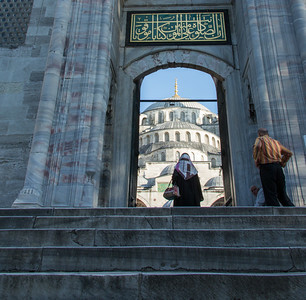 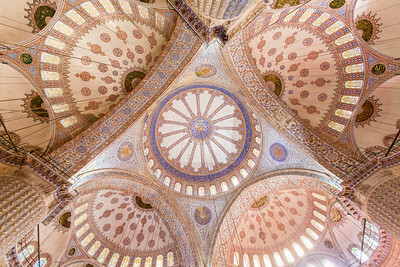 The mosque is stunning both inside and out, and welcomes a dazzling array of religious and secular visitors.